Electronic Arts is currently running its upcoming World War I first-person shooter title through a closed multiplayer alpha test, and while there hasn’t been a proper official announcement about whether Battlefield 1 will come with DirectX 12 support right out of the box, it appears that DICE is currently experimenting with the latest graphics API, as a latest gameplay footage shows the game’s support for DirectX 12. The option available in the game’s setting for the graphics API is toggable, suggesting that the game will come with DirectX 11 support by default. 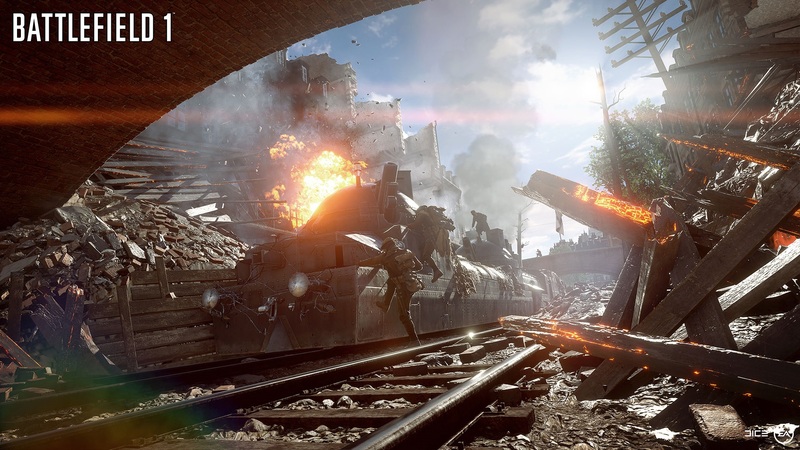 DICE, just like most game developers in the industry, has been very supportive of DirectX 12. Along with new graphical features and options, Microsoft’s latest game programming API brings some much needed performance improvements as well. The Swedish game developer confirmed DirectX 12 support for its Frostbite engine a year ago, and while there’s hasn’t been any official announcement regarding Battlefield 1 supporting the API, we now know that the alpha build of the game allows players to turn on DirectX 12 in-game. 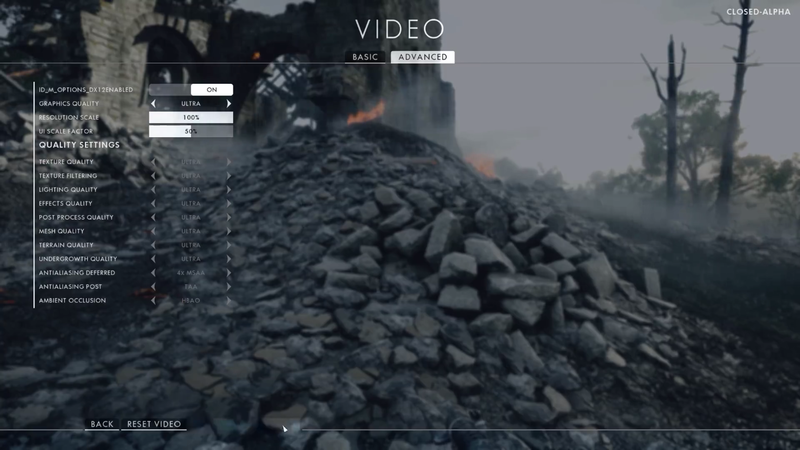 In a recently published gameplay video of Battlefield 1, DigitalFoundry shows the alpha build of the game running at 1440p with maxed out settings on Skylake i7 CPU and Nvidia’s latest and greatest GeForce GTX 1080 at a resolution scale of 100%, which is roughly equivalent to a resolution of 5K. This means the game’s current build runs very smoothly at ultra high resolutions on single graphics card. In the screengrab below, you can see that the first option in advanced graphics settings of the game allows you to enable/disable DirectX 12. Other graphics option available in the game right now allow PC gamers to adjust the texture quality, texture filtering, lighting quality, effects, post-process, mesh, terrain, undergrowth, anti-aliasing and ambient occlusion. You can also find the resolution and UI scale slider in the settings, but as DigitalFoundry noted, the resolution slider works differently. Native resolution on the resolution slider this time around is set at 50%. “So by bumping the game up to 100% on a 1440p display, we are effectly rendering at 2880p, or 5K,” says the host. DICE has already shown some huge performance gains with Battlefield 4 running with AMD Mantle API, so implementation of DirectX 12 in the upcoming shooter is quite evident and logical. Hopefully, this will result in great performance gains for the game when compared to the older DirectX 11 API. Battlefield 1 is by far the most popular one among the two opposing first-person shooters coming out later this year. It will be interesting to see how the game will be optimized to deliver best experience on currently available PC hardware. Battlefield 1 is set to hit the store shelves worldwide on October 21 for PC, PlayStation 4 and Xbox One. More on the highly anticipated World War 1 shooter by DICE will be coming soon, so stay tuned for all the latest news.